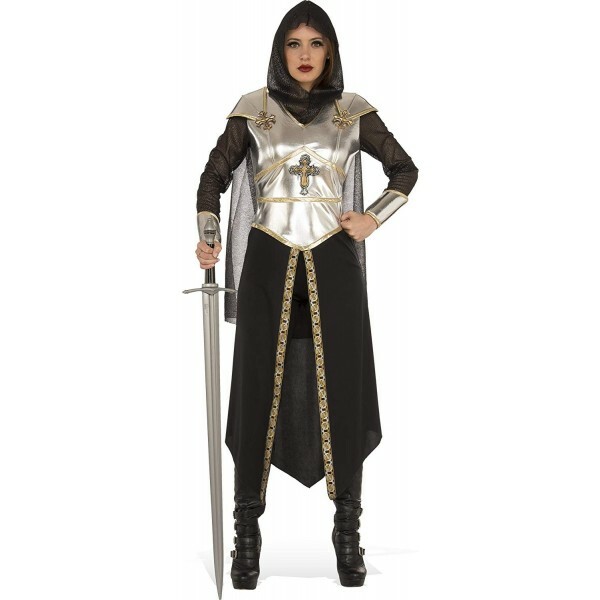 Imagine yourself as Joan of Arc, or as a brave and bold fantasy knight, in this Medieval-inspired warrior costume from Rubie's! This tunic features an attached cape and silver fabric on the bodice and wrists for the appearance of metal armor. Gold trim, Medieval cross accents, and a printed border on the bottom of the tunic provide additional detail. Leggings and a hood finish off the look. Please note: additional accessories not included.